How Does Coffee Make You Fat? How Much Coffee Can You Have? Many people take coffee a number of times in a single day. Actually, taking a cup of coffee is what many people think of when they wake up in the morning. However, few people ever ponder upon the effects of coffee on their bodies. A question that has been lingering in the minds of many coffee users is “Does coffee make you fat?” This issue will be addressed in this article. Basically, taking a considerable amount of coffee is known to be beneficial to the body, with regard to lowering the risk of contracting various diseases. Taking regulated amounts of coffee can lower your chances of contracting cardiovascular disease and type 2 diabetes. However, health experts are of the opinion that taking too much of the beverage can lead to weight gain, among other complications in the body. This is mostly the case with the high-calorie drinks, including blended coffee drinks, cappuccinos and flavored lattes. While this is the case, the low-calorie drip coffee can also lead to weight gain, but what amount of the beverage can lead to weight gain? According to Australian researchers, taking more than six cups of coffee in the body will lead to weight gain. Additionally, this excessive intake of coffee can lead to various body complications, such as high blood pressure, metabolic syndrome, and increased level of triglyceride in the body, stroke and even diabetes. Does coffee make you gain weight? This should not be the sole concern of coffee users. You should as well be worried over how the beverage leads to weight gain. This will go a long way in preventing weight gain, resulting from coffee intake. Basically, it is not advisable to take more than two cups of coffee in a day, especially if you are trying to lose or maintain weight. This can frustrate your weight loss goals in the long run; too much caffeine in the system will make you consume more, hence gain weight. Mentioned here are some of the ways which coffee can cause weight gain. Increased amount of caffeine in the body triggers secretion of more stress hormone, cortisol, in the body. It is this increased level of cortisol that increases the craving for salty, fatty and sugary foods. These will in turn cause weight gain in the body. 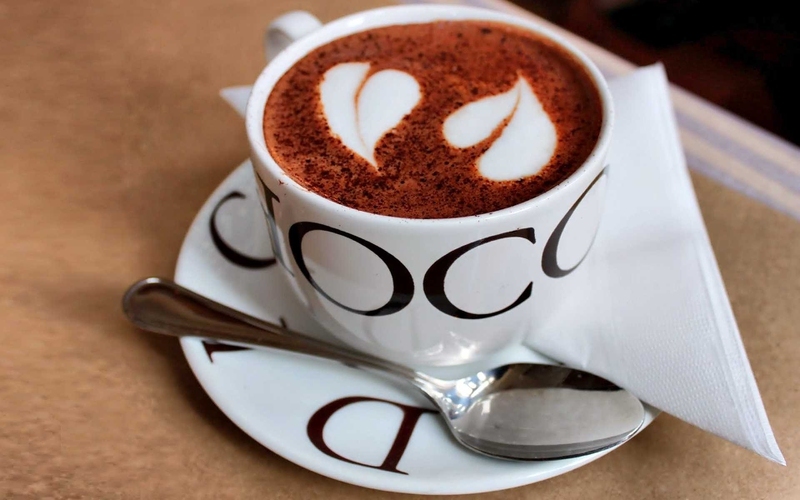 While taking coffee, it is very likely that you will add creams and sugar. These ingredients will increase the level of sugar in the blood system instantaneously. This high blood sugar level will then go low within a short period. This fluctuation in the blood sugar level will increase craving for food, which will in turn result in weight gain. Other artificial additives, such as Sweet N Low, Equal and Nutrasweet that are normally used in coffee will also increase your craving for food, hence weight gain. Experts also argue that taking excess amount of coffee will result in excess intake of calories, which do not satisfy your appetite. This increased calorie intake will as well lead to weight gain. Start with considerably small amounts of coffee or caffeine, such as 50 mg of caffeine to make a cup of coffee, half the serving size of the fat burner you are using or half red bull can, and observe the effects. If these do not give you the energy boost you deserve, you can gradually increase the amount of caffeine with time and observe the effects. However, if your caffeine requirement exceeds the recommended range of 300-to-600mg, you will need to lower it. To lower your caffeine requirement per day, you should avoid taking large quantities of caffeine for a couple of days. You should maintain your coffee intake within the recommended range of 50 to 300 mg. Additionally, this amount should be taken about an hour prior to the workout session. This will boost the energy levels in the body and increase the rate of fat burning in the body during the workout. Taking more than 300 mg of caffeine in a day can have dire consequences for the body, including weight gain. Other side effects associated with this increased caffeine intake include headache, nausea, nervousness, trouble sleeping, fast heartbeat and irritability. These side effects may indicate that you are taking too much caffeine, and you should reduce the intake. You can still get the satisfaction of coffee without having to risk gaining weight. This is done by opting for the low-fat, low calorie drink. This is found in the various flavors of coffee beans, including hazelnut, chocolate almond and white chocolate. You should also avoid using fat-free milk to lighten up your coffee and taking a syrupy mix-ins.